In this case, a combination of old and new that was a moral imperative once the 2nd sketch hit my phone's inbox. 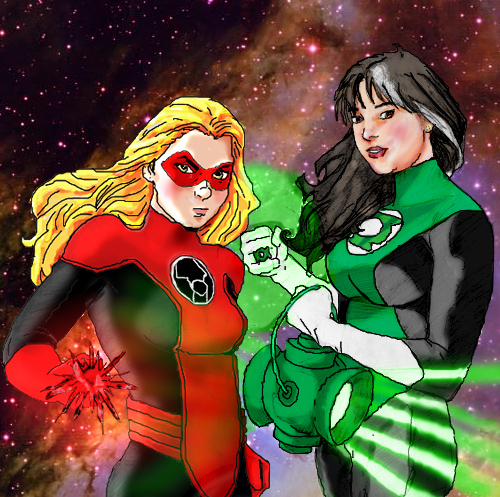 Green Lantern Francine and Red Lantern Katchoo, captured by the Hubble Telescope sharing some space between here and the Eagle Nebula. Chewie looks a little ragey at being spied on, I think. Not blood-spewing ragey, but she's off-duty here. Francine and Katchoo sketches by Terry Moore, digicolor by MP, background by the universe courtesy of the Hubble telescope.